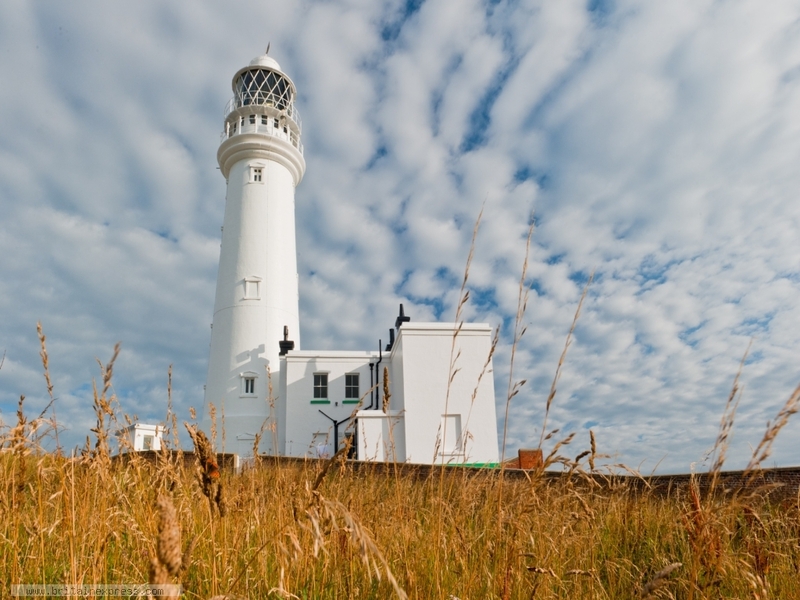 There are two lighthouses on the headland at Flamborough, in East Yorkshire. The oldest is a chalk-built tower dating to the 1674, and is probably the earliest surviving lighthouse in Britain. Closer to the sea is the 'newer' lighthouse, built in 1806, pictured here. Visitors can tour the new lighthouse in the summer months, and there are wonderful walks along the sea cliffs in both directions.